In 1835, Alexis de Tocqueville wrote “Democracy in America” as a reflection of what he saw in his visits to the new world. He hoped that the French, his target audience, would develop a deeper understanding of democracy’s potential. Similarly, Beth Simone Noveck, in her new book “Smart Citizens, Smarter State” (Harvard University Press), also shares a vision of the future of government—a vision she and her colleagues build upon at the Governance Lab at New York University in a series of practical case studies. In a recent presentation, she observed that governing well in the next administration is going to depend upon treating the public and the civil service as skilled partners in problem solving. De Tocqueville wrote that in the United States of the 1830s, “patriotism is a sort of religion strengthened by practical service.” In today’s context, “patriotism” might be replaced with “citizens’ trust in government,” and “practical service” might be translated as “citizen engagement.” In fact, a recent Pew Research Center study on citizens’ trust in government found 55 percent of Americans feel that regular citizens could do better than the government’s professionals in addressing major policy issues. 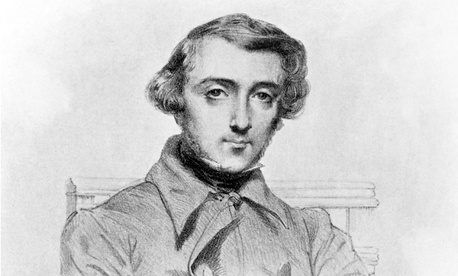 Though separated by 180 years, both Noveck and de Tocqueville see practical citizen involvement as an essential element of effective democratic government. In her book, Noveck decries the alienation that citizens feel toward government and asserts the need to re-engage them if we are to restore trust in democratic governance. She says the tech tools exist to make it possible to re-engage, to co-create, to restore the vibrancy that de Tocqueville saw. She offers both a vision, and a path for achieving it in her book and via efforts at the Governance Lab. Noveck says professional government evolved out of necessity, to deal with the growth of America. But along the way, it turned into a “closed-door government” that leverages expertise through the use of credentials and position. She goes on to observe that in a professional government: “decisionmaking requires expertise because only experts can curate what is relevant, specific, and credible. The professions have long served as a proxy for expertise, helping to identify quickly who knows what . . . [This happened in] an administrative system, where an elite group of leaders is supposed to solve critical problems largely on their own, without really engaging the insights, experience, and brainpower of the people they serve, the professionals are the experts." In addition, she notes: "We have also developed a set of practices for after-the-fact citizen engagement, such as commenting on rule-making, rooted more in the belief that outside participation is nice for the sake of legitimacy but not required for active citizenship or effective governing." However, "Because we conflate professional with expert . . . we are not able to take advantage of the expertise possessed by those outside of government . . . Going "open" is, therefore a call to exercise civic muscles that have atrophied. It required acknowledging that regular people possess deep knowledge, wide experience, and significant training related to the solution of real problems." While professional government, with its flaws, has been effective for nearly a century, risk analyst and scholar Nassim Taleb and others have “set out to prove that bureaucratic hierarchies do not – and cannot – always work best in complex societies.” In complex settings, networks and experimentation tend to be more effective governance approaches. In summary, Noveck says we need to shift from citizens being asked how they feel or think about policies—such as our traditional notice-and-comment approach to regulatory development­—to actually engaging in making and implementing them. Noveck observes that today, technology allows the creation of collaborative networks of expertise, both inside and outside of government. But how do you find the expertise needed to address complex issues? She says the Internet is radically decreasing the costs of identifying diverse forms of expertise, and what that could mean for how we govern. She believes that when institutions open themselves to diverse participation and collaborative problem solving, they become more effective and the decisions they make are seen as more legitimate. Internet technology makes a broad range of expertise (skills, experience, interests, credentials) more visible, independent of institutions. The Internet permits expertise to be identified via automatic data collection. It makes it possible to quantify expertise differently than before. In summary, expertise is replacing credentials, and this opens a path for regular citizens to more actively engage in their government’s operations. Will they? Noveck says recent studies of involvement with Wikipedia and other Internet-based communities suggest that at least half would. Is this good enough? That’s a higher rate of engagement than we have now. Noveck offers an agenda for making the transition. One key element is the use of experimentation. Another is the use of crowdsourcing. She describes five types of tasks suitable for crowdsourcing: ideas, opinions, funding, data collection and micro-tasks. That doesn’t mean we want high school students engaged in medical device approvals. She says there is a need to identify the right people to participate via “targeted crowdsourcing.” This would entail shifting from crowdsourcing widely to crowdsourcing smartly. Develop a new system of measuring credibility, such as the “badging” systems developed by the software coding community. Build new platforms for expert networks, which have been done in other countries, such as Canada’s GCCONNEX. Help civil servants develop new mindsets, so they see and work more broadly, like the pilots underway in the federal government via GovConnect. Sponsor more experiments, so we can see what works and what doesn’t more quickly, such as those done in the world of education via the What Works Clearinghouse sponsored by the Department of Education. In general, we need to undertake continuous experimentation, not seek to identify one-time solutions. And finally, catalog skills more systematically to make them more findable – starting with the federal workforce and then expanding to citizenry that wants to participate. This is being piloted in several federal agencies, such as the Department of Defense’s Aristotle project. In addition, she notes, there are several legal hurdles that need to be addressed. She points to the need to update laws that were intended to improve citizen engagement but now serve to limit it, including the Paperwork Reduction Act, the Federal Advisory Committee Act, and the Administrative Procedures Act.